UPDATED: Thu., Jan. 11, 2018, 1:10 p.m.
OLYMPIA - Washington needs more people registered to vote and more of those citizens casting ballots, Gov. Jay Inslee and other state and local officials said Friday as they unveiled a series of proposals they want the Legislature to consider. The proposals include allowing new voters to sign up on Election Day, automatic voter registration, and districts that better represent the makeup of a community or neighborhood. Qualifications for voting would remain unaffected by the changes, Rep. Zack Hudgins, D-Tukwila, said. Another goal of the bill package is increase the number of officials chosen by districts in Washington, rather than through at-large elections. Yakima Deputy Mayor Dulce Gutierrez said district-based voting helped increase voter turnout and representation for minority communities in that city after council districts were drawn in 2015. Sen. Rebecca Saldaña, D-Seattle, also supported the changes because they would lead to more diverse backgrounds in government. 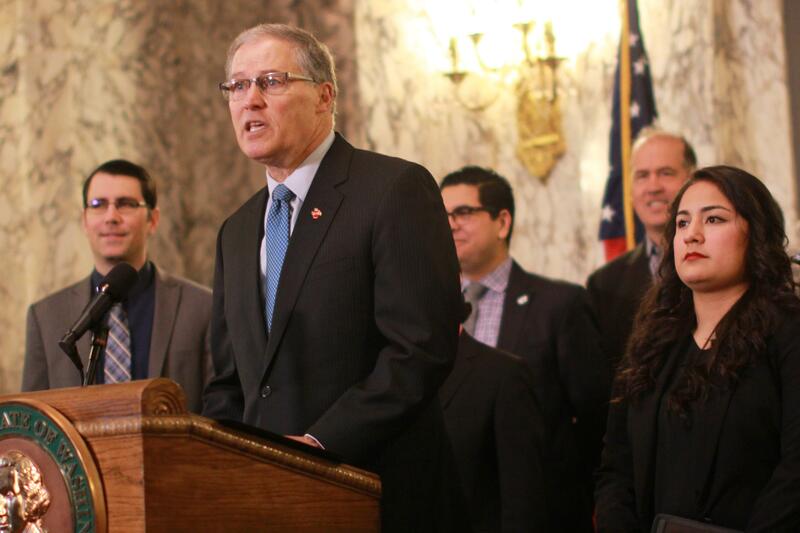 More diverse representation in government has benefits beyond politics, Inslee said, and can convince students who are struggling to stay in school. “When you see leaders like this who are leading their community, that helps out young people have a vision statement for themselves,” he said. Published: Jan. 5, 2018, 8:49 p.m. Updated: Jan. 11, 2018, 1:10 p.m.